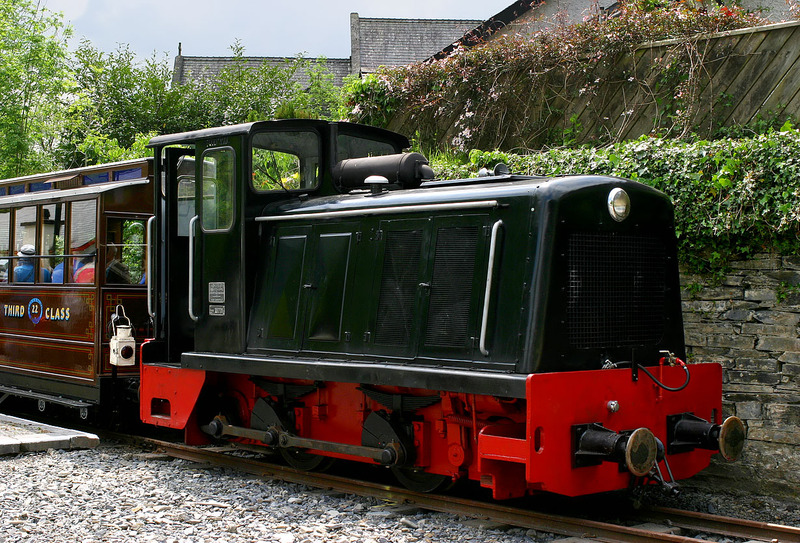 In 2015 the Corris Railway acquired this Orenstein & Koppel 0-4-0 diesel hydraulic locomotive from Mauterndorf in Austria. 25721 was built in 1957 for a construction company in Vienna. A slight change of gauge (from 760 mm to 687 mm) was required before it could be used in Wales. It is pictured here at Corris on 29 May 2016.